The Heritage Schools is a leading group of progressive schools that offers child-centric education based on experiential learning. Across its three campuses located in Gurgaon, Rohini and Vasant Kunj, it has one of the best infrastructures for academics, sports and technology among all day schools in the NCR. Since establishment in 2002, Heritage has built a reputation for educating students rather than schooling them by providing meaningful learning through active engagement in classrooms, laboratories and beyond—on playfields and even on mountaintops. Freedom, empowerment and continuous learning are the ethos of the Heritage work culture. The schools have constantly innovated with pedagogy. 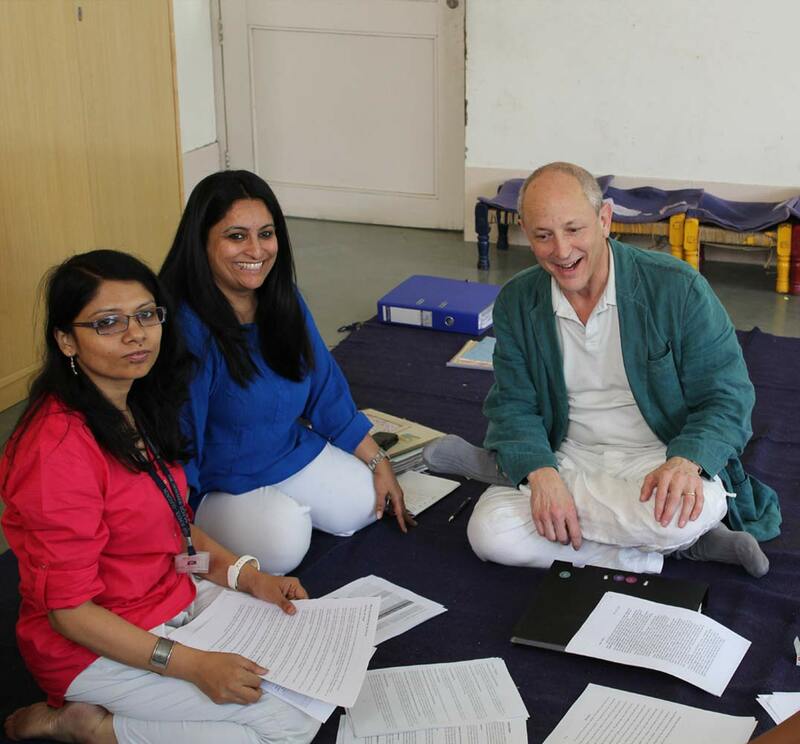 The experiential curriculum draws from best practices across the globe including Integral Education, Expeditionary Learning, USA; Reggio Emilia, Italy; Waldorf Education, Germany; and Realistic Mathematics Education (RME) through a partnership with Jodo Gyan, India’s leading experts in mathematics education. Constant innovations in the area of STEAM (science, technology, engineering, art and mathematics) continue to equip students for the future, along with strengthened critical thinking, reading and communication skills through integrated standards for English Language Arts. Holistic development is addressed through the vertically aligned physical education curriculum based on the National Association of Sport and Physical Education (NASPE), along with a music curriculum incorporating Kodaly methodology. 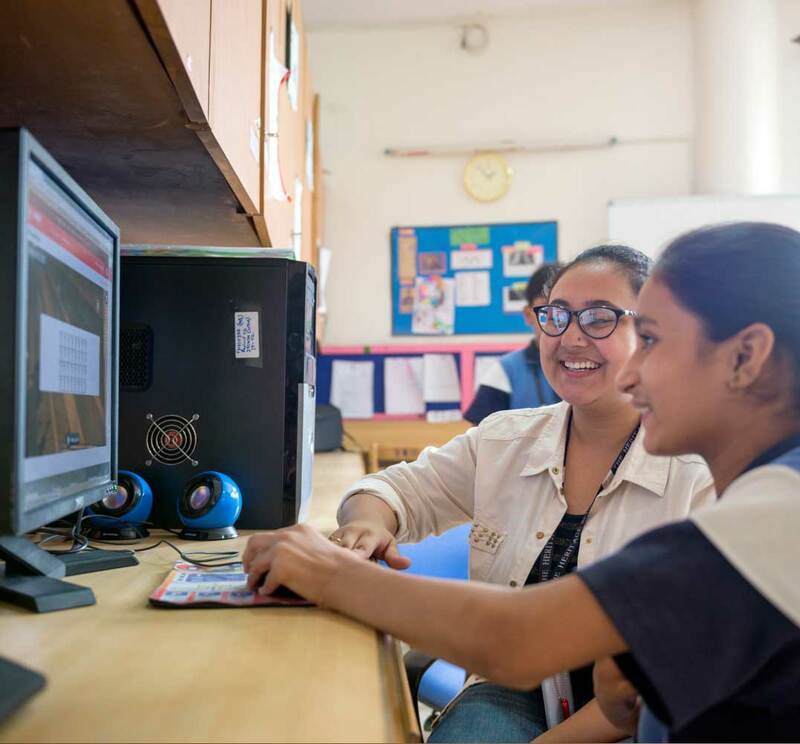 The Gurgaon campus now also offers the International Baccalaureate Diploma Programme (IBDP) for grades XI and XII, alongside its existing CBSE programme. Subject coordinators across the schools develop and differentiate curriculum and individual academic support programmes. The schools also use comprehensive rubrics for student observation and assessment on curricular and co-curricular areas, and produce detailed reports on over 100 learning outcomes for each grade, tracking, remediation and support for each child. 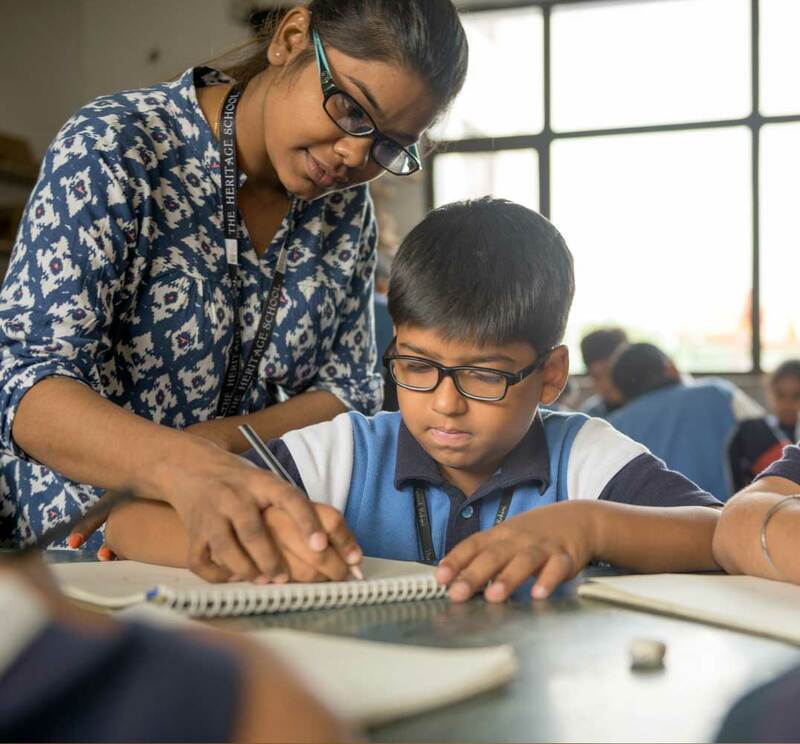 The group has around 6,200 children and 640 teachers, with a teacher to student ratio is 1:9, a fact that sets it apart from other day schools in the NCR. In addition, there are two teachers per class up to grade 3. About 60 percent of the teachers are post graduates and 50 percent have over eight years of experience. Strong leadership and management are a hallmark of the schools; the management team boasts of three alumni from the Harvard Graduate School of Education and one alumnus from the Harvard Business School.The schools have an active Staff Welfare Committee to deal with applications for financial support and fee waiver and a Professional Development Committee that focuses on career progression and learning and development of teachers. Facilities such as a playgroup, crèche and stay back programme are available for staff wards. Regular celebrations with staff and staff family members, such as the Family Day, ensure that the bond between teachers and the schools is strengthened.